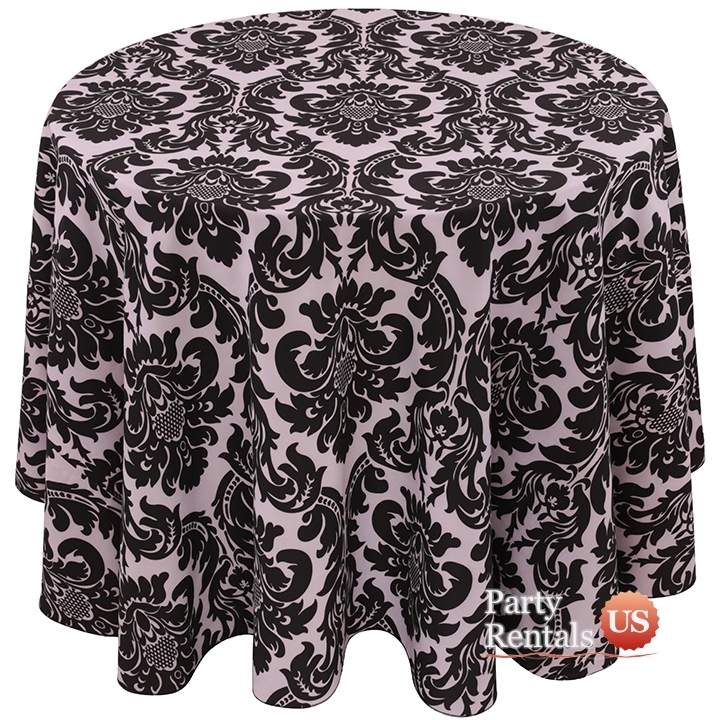 A smaller and refined Damask tablecloth will set the tone for any party. 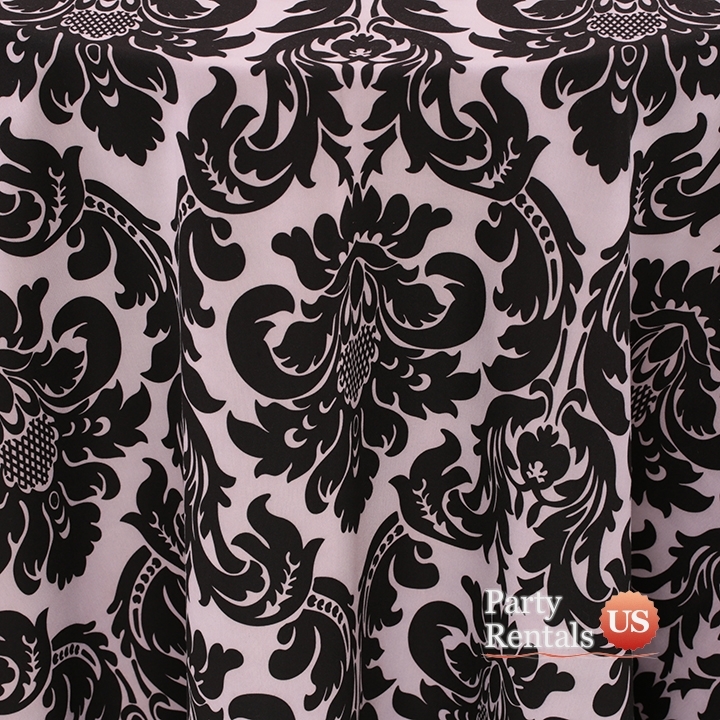 Our "Alterio" print is classically set in black and white, which will fit perfectly into any formal affair. 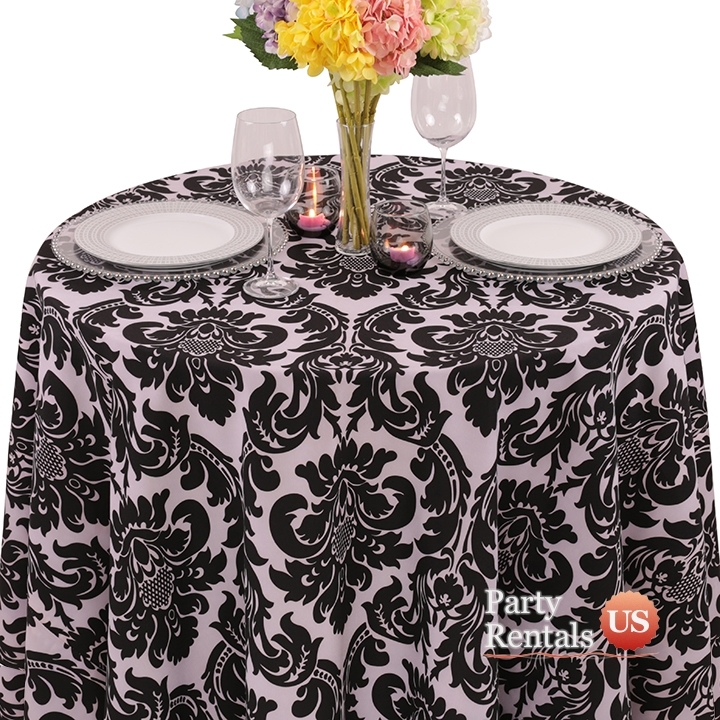 The spun polyester fabric is simple to maintain and offers the softness of cotton for your guests.